When propagating shrubs, the cuttings taken from the mother plant must be supplied with water and nutrients to begin growing a healthy root system that will be able to support the plant during its adult life. Potatoes will act as somewhat of an incubator, providing the fresh shrub cutting with moisture and nutrients until it grows a root system capable of collecting nutrients for itself. By using a potato in conjunction with a rooting hormone, you can successfully propagate your shrubs. Use a pencil or a Philips screwdriver to create holes, 1 to 4 inches deep, into one side of the potato. Make the holes deep enough to accommodate the shrub cuttings. Dip the ends of the shrub cuttings into a rooting hormone gel. The rooting hormone gel will promote the growth of new roots and will provide the cutting with nutrients until is begins to establish a healthy root system. Place the shrub cuttings into the holes in the potato--one cutting per hole. Fill a planting container large enough to accommodate the potato with potting soil. Bury the potato in the potting soil, leaving only the cuttings exposed out of the soil, but completely cover the potato. Water the potting soil until it is thoroughly damp to the touch, and place the planting container into a greenhouse or into an area where it will receive the heat of full sun conditions for the majority of the day. The potato can remain in the planting container forever. 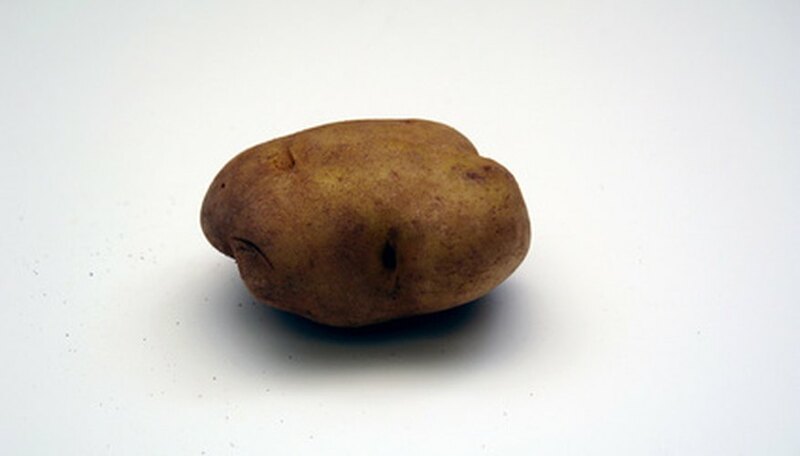 The potato will provide the plants with nutrients as it rots away. The potato may form sprouts in the planting container. Simply snip of the sprouts with sharp scissors or pruning shears to keep the potato from growing. Jason M. Bruner is a freelance writer who has been in the field for more than five years. His content has been previously published on various websites.